With our recent expansion to North Dallas, we thought new residents may enjoy exploring some of the surrounding areas. Denton is a city that is a little over an hour north of Dallas. The city is home to two universities: the University of North Texas and Texas Woman’s University. The arrival of the railroad in 1881, followed shortly by these two universities at the turn of the century and the construction of the Dallas / Fort Worth International Airport in 1974, all helped the city to grow to a population of over 100,000. Most people arrive to Denton via I-35. However in 2011, a commuter rail was built between Denton and Dallas. 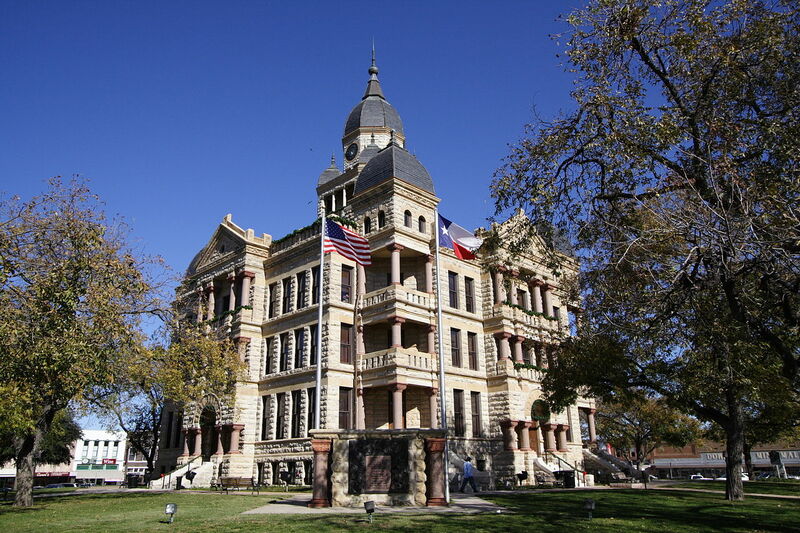 Denton has an idyllic town square centered around a county courthouse. This layout is not unique to Denton. In fact, many Texas towns have a similar town square with the courthouse in the middle. What makes Denton unique is that you can experience that small town feel while also enjoying the amenities and attractions of a larger city. The shops and restaurants that surround the town square include vintage stores, boutiques, coffee shops, pubs, a local brewery, and many restaurants. Walking around Denton you will experience an interesting mix of historic houses, condos, student housing, and a community that values art and education. Since Denton is very much a college town with two universities, there are tons of historic and art exhibits, sporting events, arts and music performances, and even several festivals. You can check out this event calendar to see what is currently happening in Denton. Major yearly events in Denton include the North Texas State Fair and Rodeo, Denton Arts and Jazz Festival, and 35 Denton Music Festival ( a festival which occurs the weekend before SXSW in Austin). Denton has been compared to a smaller Austin because of the many live music events and large population of students. This is a unique town that feels small and charming with its still visible historic roots while maintaining a global awareness through diverse cultural art and music offerings. Begin planning your tip to Denton here.